October 22, 2018 4:54 pm. Champion Winx has been celebrated in a new book about her racing life which is not over yet. The plan is for Winx to retire at her best. For the world’s best racehorse who attempts an historic fourth Cox Plate on Saturday, her best may be yet to come. Those behind the champion mare are happy to let her dictate when to call time on her racing career. They are taking it one race at a time, with trainer Chris Waller saying every race could be the seven-year-old’s last. But he also says she’s never been better. “There’s no signs of slowing down, I will add that,” Waller said. Jockey Hugh Bowman concurs, saying the champion is as fit and well – if not better – than she has ever been ahead of her $5 million “grand final” on Saturday. “It’s unbelievable even to say that, considering what she’s already done,” Bowman said. Winx has captured the public’s attention and affection with her 28-race record winning streak and 21 Group One wins. “We thought at the start of this great journey we had an amazing horse but we quickly learnt that it wasn’t out horse, it’s everybody else’s horse,” Waller said at the launch of a book on the wonder mare on Monday. 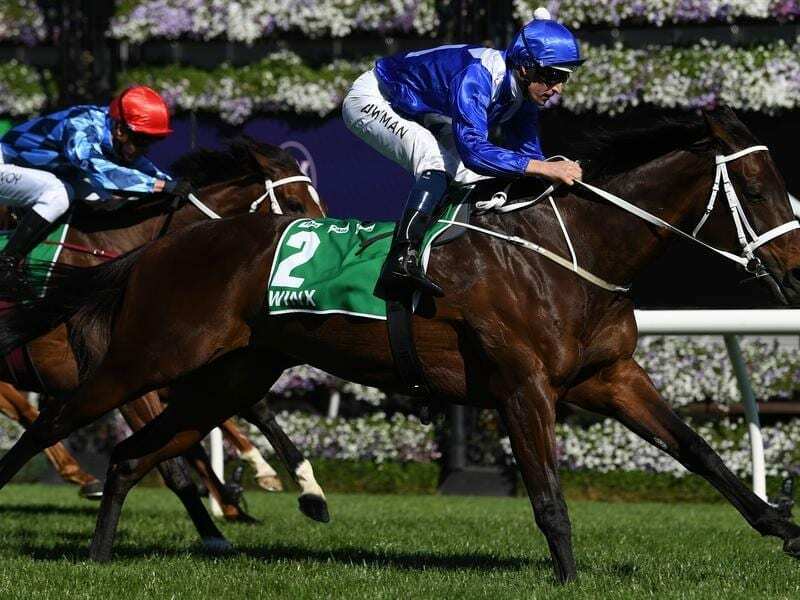 It is the sense of responsibility to the public that led to Waller, Bowman, Winx’s owners and breeder working with journalist Andrew Rule for Winx: The Authorised Biography, despite her story not being over yet. As part of the Ingham family, Debbie Kepitis was no stranger to racing success before she teamed up with Peter Tighe and Richard Treweeke to buy Winx for $230,000 in 2013. Winx has now won more than $19.88 million prize money, yet Tighe will be like any other fan cheering her on in the Cox Plate. Tighe is trying not to think about Winx becoming the first horse to win four Cox Plates, let alone consecutively. “It’s really out there with things that you would dream about if you could dream that big,” he said. Beyond Saturday, Kepitis and Tighe are happy to let Winx continue racing as long as she’s happy. “It’s up to her. It’s her call,” Tighe said. There is no plan to go out on a high should Winx rewrite the Cox Plate record book, Kepitis said. Besides, she said, Winx would be bored standing around in a paddock.